As decisions go, this is a biggie. Sell your house and live full-time in an RV “out there.” Where? Wherever you want. Before you swallow all that freedom in a single gulp there are a few things you might want to know. #1 Make a practice run…or two…or ten. #2 How much house do you need? There is an RV ready to match your dream. Use your vacation RV trips to test different rigs. If you are visiting off-the-beaten-track tourist nooks and wilderness sites a more maneuverable RV could be preferable to a motorcoach. Or your dream RV just may not have as much room as you need to live on the road full time comfortably. Be honest with yourself up front and you will save yourself the hassle of trading up or down in your first few years untethered from a home base. Everyone has heard the age-old packing tip for a trip – “pack half the clothes you think you need – and then get rid of half of them.” When you are preparing to live on the road you need to amp up those percentages even more, way more. Only you can make the determination of what is truly “essential” but come be prepared to attack your first “must have” list with an arsenal of scissors and black pens. What to do with the excess? Hold a yard sale. Have fun on eBay for a few months. Invite friends and family to pick through your belongings. Give stuff away. If you absolutely must, rent a storage locker. Beware, though – if you are having difficulty shaving possessions from your life you still may be a few years away from full-time RVing. Every RV comes with a manual and you two should spend some quality time together. Learn your way around the electrical system and the fuse box. Don’t be intimidated by basic plumbing. Be prepared to patch leaks in the roof and around windows and doors with sealants. Establish a routine to perform the annual chores recommended by the manual. These are not onerous tasks, but essential ones to making life easy on the road. #5 And when bad things happen, be insured. There are a host of insurance decisions to be made when living on the road, among them accidents, thefts, and illnesses. Study the many discounts and options before you leave and you should only need to put yourself through the process once. Two coverages are essential: for the replacement value of your RV should it be damaged or stolen and for personal belongings, much like homeowners insurance. There are many insurers and levels of coverage – select wisely for the insurance to suit your intended lifestyle. Medical insurance is also offered specifically for full-timers. #6 Get limber to stretch that dollar. Even for the rare folks who RV full-time with unlimited cash, getting by on less money becomes ingrained in the RV lifestyle. Tracking spending and working from a budget becomes second nature on the road. Before you head out get in the habit of logging daily spending on everything to learn where money goes. And check in with experienced RVers for advice – and get ready to write down ideas fast because every RVer has favorite tips to stretch dollars on the road. If you are planning to take on seasonal or temporary jobs to help support a full-time RV lifestyle there are many more opportunities than just campgrounds and parks. Before you go, research the opportunities available that sound attractive and prepare a resume and contact information that highlights your range of skills. And don’t forget the discount cards and passes. There are plenty out there and your glovebox should be stuffed with these money-savers before you leave. Tops on that list for any RVer over the age of 62 is the Senior America The Beautiful Pass. For $80 the Senior Pass provides lifetime admission to every national park and 2,000 more recreational sites—and that includes up to three other adults in the vehicle. It is always hard to sell a house and leave family and friends behind but today’s technologically rich world makes the parting a much sweeter sorrow. WIFI hotspots are becoming more prevalent around North America, especially for travelers. Many campgrounds and visitor centers are wired for your WIFI-enabled devices. Before you leave check out the many service providers and resellers who can keep you online and tapped into the world while on the move. Your rig can also carry along its own satellite dish, hard-mounted or mobile. You can choose how connected you want to be in your RV. Even after bidding goodbye to your physical address you will still need to establish a permanent legal address for such dreary souvenirs of your former homebound life as driver’s licenses, vehicle inspections, voting registration and bank accounts. There are 50 different sets of rules and regulations and your home state may not be the most accommodating to a nomadic lifestyle. Among the options to consider are taxes, insurance rates, and efficiency of mail forwarding. Three of the most popular domicile states for full-time RVers are South Dakota, Texas and Florida. #9 Work on a game plan. Many full-timers follow the weather as they travel, moving to more friendly climes – be they cooler or warmer – through the year. That serves as a fine rough outline but it can be frustrating to arrive in a new area and discover you missed a festival or traditional event by a day or two. Plan ahead and keep travel resources at the ready. 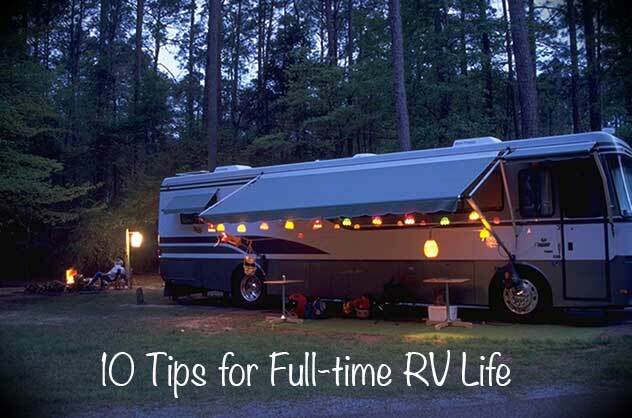 But the golden rule of full-time RV travel planning is to stay flexible. Don’t be in a rush to head off down the road. One of the biggest aids to planning is membership in the Good Sam Club. Not only will you find invaluable destination and campground information but just about everything on this list as well, from insurance plans to maintenance assistance to big-dollar discounts at Camping World. Were newbies and it feels like a whole new life style. Pro’s and con’s are always welcome! Based out of Fla. was the first right thing we did! Just finding the right camp ground in northern Fl. is a hassle. Does anyone know which are the best? We like the social life style. We have dogs and would love to hear from dog lovers as to which parks are the best dog friendly parks? My wife and I are planning to become full time RVers. Doing our research now, and hope to soon join you on the road. Thank you for the realistic and informative post. I’ve been living a mobile lifestyle — in a boat and a renovated Airstream — off-and-on for the better part of the past decade. My son and his wife (who are in their mid-30s) have also been living mobile, and we can all say a hearty “Amen!” to your tips and advice — especially #10 — to join the Good Sam Club. This past year, we took our combined experiences / knowledge and produced a full-time “Living Vehicle” that’s perfect for full-time newbies. It’s spacious, well-equipped for the real world, and is truly off-grid capable with built-in solar panels and 4-season systems and insulation. Your tip #4 “You don’t have to be a master mechanic but…” is so right, because we’ve even in a new RV, we’ve spent dozens, even hundreds, of hours repairing our boats and RV homes. Me and my wife are considering going fulltime RVing while we’re still working. Until our retirement. We are just thinking about doing the same. It is a very exciting yet scary decision. We just started researching this dream idea! We need to maintain an income as well. How old are you and your wife? My husband and I are doing the same right now Toni. First we were considering selling everything and moving to a Caribbean island but after a lot of research we realized that it isn’t easy getting a job on some of the islands and the places where you can get jobs are crime ridden. So, we turned back to our life long dream of buying and RV and traveling the country. We are still in our early 50’s so we are too young to retire but through our research we discovered a website called flexjobs.com that is a great site for finding jobs that offer the ability to work remotely. It is a legitimate site without all of the scams and network marketing type of stuff. We also just discovered camp hosting on a website called workampingjobs.com. There are a lot of camp grounds in a lot of different states that offer various types of opportunities for couples to be camp hosts. Some are just for a free place in the camp ground in exchange for work but some also offer salaries to go with the free stay. I’m becoming more excited than scared now. My only concern is health insurance. I really appreciate it when you pointed out that being an owner of an RV means that I should learn a little about electrical, plumbing, and roofing work so that life on the road will be a little easier. Maybe it is time that I get myself a book and educate myself about the basics of troubleshooting. After all, I do intend to get an RV for myself soon since my dream job is to be a nature journalist. Thanks for the tips. Me and my boyfriend are purchasing our camper this week and we are both so nervous and excited about this next adventure in our lives! ANY first time tips, or any helpful advice would be greatly appreciated. Your page deserves an update: The Senior Pass just increased from $10 to $80. Still a bargain, but not like it was. Updated—thanks for letting us know! We are doing our research now too. 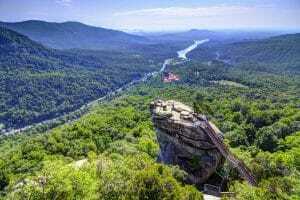 Still in our early 50’s so we’re too young to retire and no savings but we are worried that “someday” may come too late in our lives to be able to do what we have always wanted to do and that is travel the country in an RV. So, we decided that we are just going to make it happen. We are super excited but scared too. Both of us have great jobs right now with excellent health insurance so our biggest concern is health insurance and how much that is going to cost us. I’m a 57 widow, retired Air Force and have a great job that only requires me to be near an airport and have internet and cell phone access. Just traded in my 34′ Montana and 200 Ford F350 and Charger for a new Montana toy hauler, 2017 F350 and a 2018 Harley Road Glide. Selling my house and all but enough to furnish a small villa (when I tire of the Great Adventure) and I’m hitting the road this spring. Question: how does one establish residency in Florida or Texas without actually owning a home? I would like to know more about that myself. To set up residency in almost any state all you have to do is establish a physical address at a place like mailboxes and more or the UPS store has mailboxes that count as a physical address and you need to receive bills like a power bill, or other utility bill. You will need to have these bills with your address on them when you go to the licensing dept. to get your new license that makes you a residence. It gets easier or more difficult depending on the state. How do folks handle the issues of full time rv travel and medical insurance? Also how do folks handle medical prescriptions, appointments, etc?